Elaine Hancock (Olney, United States) on 3 February 2017 in Landscape & Rural. Because of its proximity to the Georgetown Pike which was a main thoroughfare between Frederick, Maryland and Washington, D.C., portions of both the Union and Confederate armies camped at the Best Farm throughout the Civil War. Cette cheminée colléàe à la première maison quel ensemble charmant sueprbe. 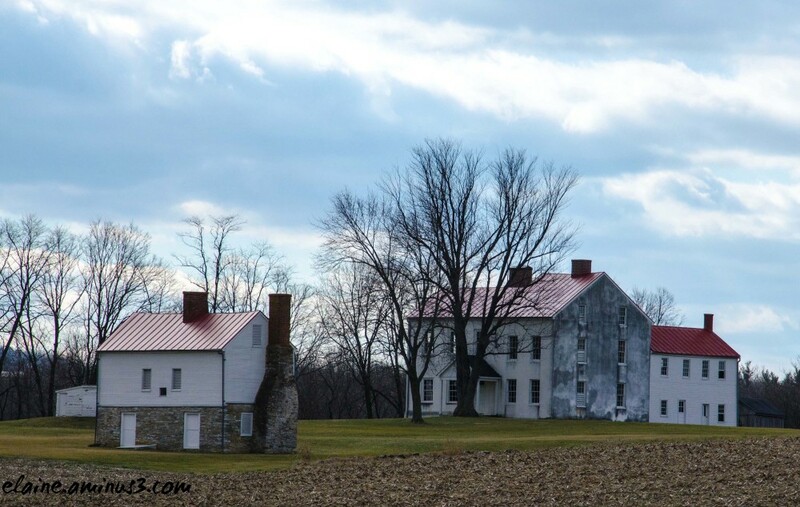 @grouser: It is part of the Monocacy National Battlefield Park. One of many Civil War battlefields that are now national monuments. Historic. Still in very good shape. A great looking place. It's notable that there are no fences. Wonderful sense of history in this shot. Impressive witnesses to momentous actions!